This week I’m thrilled to bring you a wallpaper that’s ideal for the children. 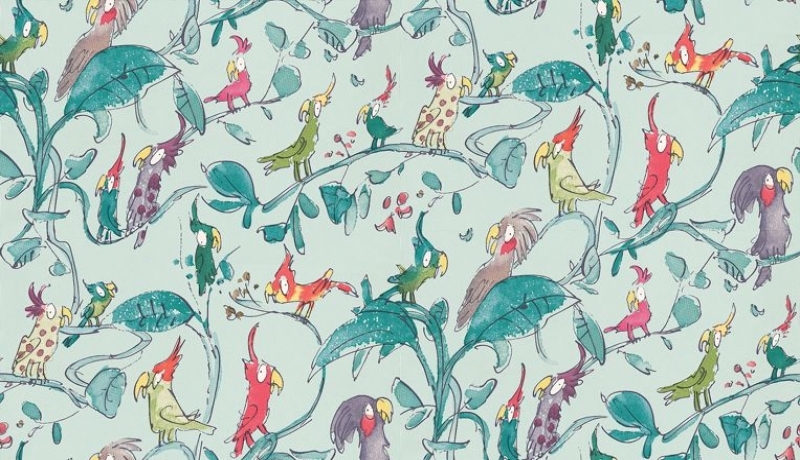 Cockatoos, drawn by Quentin Blake, features some very lovable fluffy friends that your children will adore. Available in lots of different colourways from Osborne and Little for just £37 per roll. A great price for a designer wallpaper like this one. Ideal for boys or girls, in a room scheme that will take them through to their teens. Lots of co-ordinating fabrics and accessories available too so go to town and create the room of their dreams! Get your Cockatoos wallpaper from wallpaperdirect.co.uk. love it, colourful and fun! Thanks Rachel, it’s something just a little different for a child’s room I think.